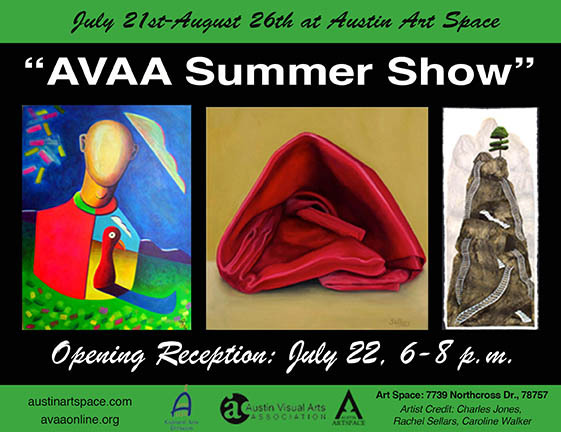 Join us for AVAA’s Summer Show at Austin Art Space featuring 25 talented local artists. The show runs July 21-August 26, 2017. The opening reception took place on Saturday July 22, 6-8 p.m.